It’s hard to believe that Great Wolf Lodge in Niagara Falls is already celebrating their 10th birthday this month. I remember every trip we have taken to Great Wolf Lodge from the time Will was on the smallest slides. 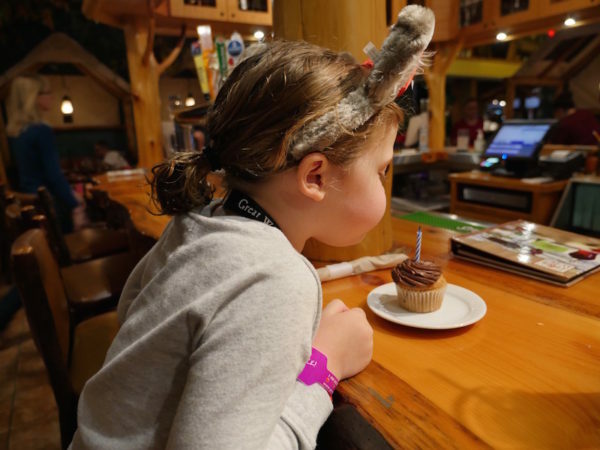 Since the hotel is such a big part of our family vacations, I wanted to share with you why I love it, what is new at the hotel and an awesome Great Wolf Lodge deal you can use to join in on all the anniversary fun. Family travel can be expensive and planning trips that everyone will love can be a huge headache. That’s why I love Great Wolf Lodge. Sometimes living in Toronto simply gets overwhelming. We don’t always have the budget to book flights to escape somewhere so we can just sit by a pool and chill out together. 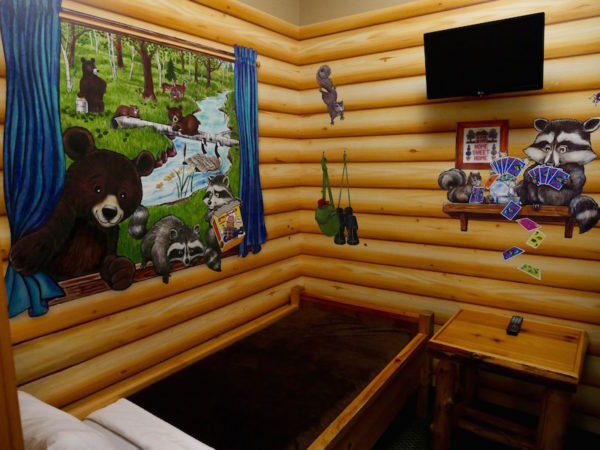 When it’s time for us to do so, Great Wolf Lodge Niagara is my go-to hotel. It’s a quick drive from Toronto, parking is free on site, it’s always warm and I know the kids will have a great time. Add on the Cub Club at night and all the activities during the day, and I get a vacation too. We just returned from visiting the property and couldn’t believe the fun we had. The hotel is decked out with great birthday balloons and everyone onsite is ready for the party. 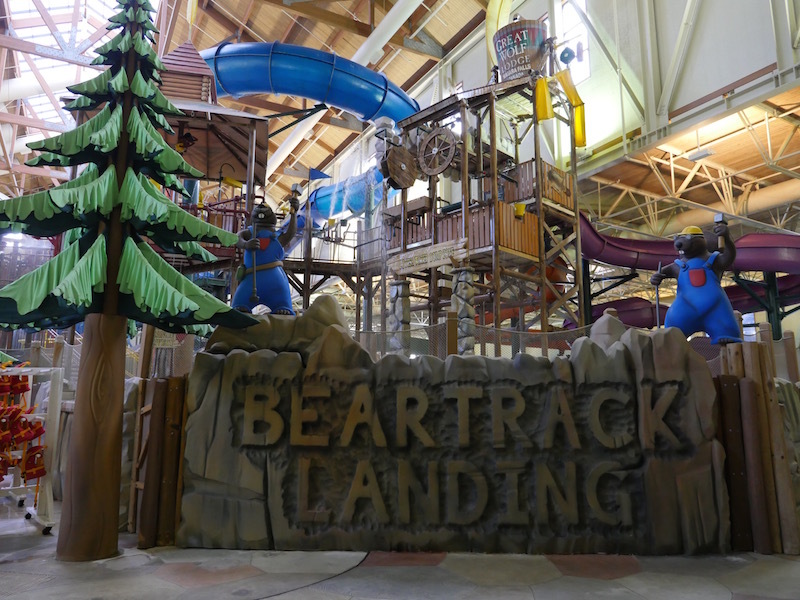 To mark the anniversary properly, Great Wolf Lodge has picked the perfect gift: a new slide! Now open, the Wolf Tail slide is a great addition to the 103,000 square foot waterpark. Brave guests travel 278 feet in 8 seconds. 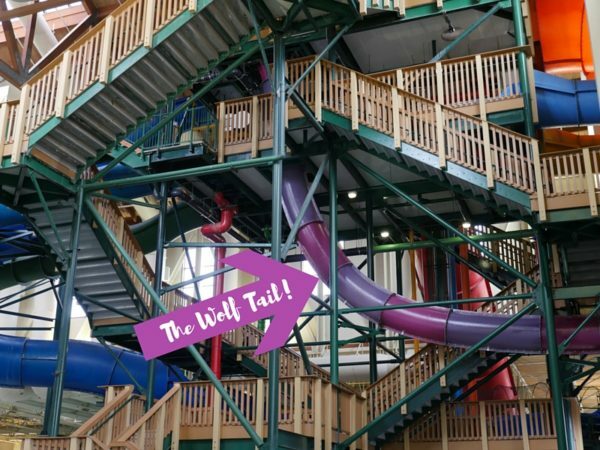 I have had the privilege of riding the Wolf Tail at another Great Wolf Lodge and can tell you that this slide is a lot of fun. Guests have as much fun riding it themselves as they do watching other brave souls enter the chamber where they wait for the floor to drop out on them sending them down an 80 degree angle slide through a 360-degree high speed loop. The Wolf Tail joins the ranks of the Canada Vortex and Niagara Rapids Run as the best slides for thrill ride loving kids and adults. Another thing I was glad to see is that Great Wolf Lodge Niagara is in no way showing its age. Instead, the 10-year-old resort looks like new. Our room was spotless and looked like we were the first people to stay in it. Having two kids of my own, I have no idea how they keep the kids’ bunk beds and decals looking like they were installed yesterday. Besides the new slides, I was surprised to see the number of new offerings the resort had. 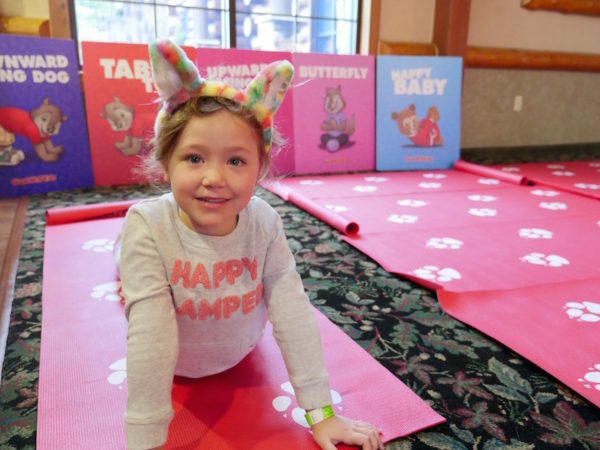 During our stay, we participated in Yoga Tails where children and adults alike are welcome to join in for a 20-minute yoga session. It was adorable to see the howling faces of the children as they were joined by several hotel staff members as they came in the door for work that morning. As we are currently planning our summer travels, we are already penciling in Great Wolf Lodge Niagara for a special family stay. My kids love mini golf and can’t wait to play outdoor course on the property. We also love the outdoor pool just as much as we do the indoor waterpark. Hopefully, we will see you there and if so, you’ll likely find us at the Wolf Tail! Book your a fun family vacay through June 16 and get 20% off using promo code YUMMYFUN. You can also enter to WIN a trip to Great Wolf Lodge Niagara valued at $875 from my friends at Yummy Mummy Club before the contest closes May 30, 2016! It is THE place to take a perfect family vacation. Love GWL! Great write up and nicely done with your video! The offer code didn’t work. Says no rooms available on any days over the next month. But if I remove the promo code there are rooms available. Anyone else have this issue? Thx. Looking into this for you Caroline! Caroline, its working now. Give it another try! We love it there and we haven’t been in awhile. So much fun! I need to test that new slide myself! Looks like a good place for me to bond with the granddaughter especially now that she’s enjoying her swimming lessons. First one down the slide is a rotten egg! We’d love to check this family fun vacation spot. 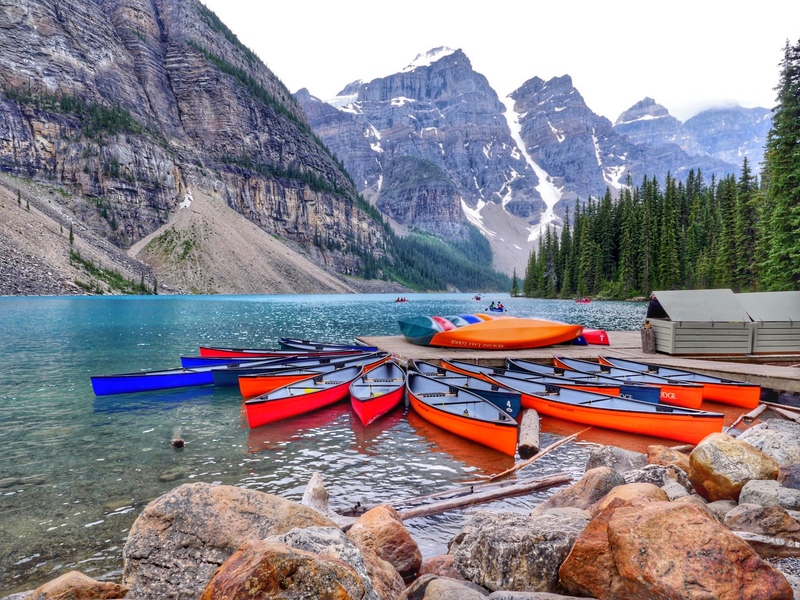 Our plan this summer is to travel from Fredericton to Niagara Falls to meet up with our son and his family from Winnipeg. He’ll be returning from Iraq mid June and it will be so good to see him again. Our grandchildren love swimming so much that it’s a chore trying to get them out of the pool. If you head over to Yummy Mummy Club you can enter to win a stay!